There’s a lot of pressure to a good ride. We judge it on the flow of the road, the scenery that moves past us and the hospitality and service we receive from the moment we pull into a parking lot until we rev the engine back up. The perfect ride may mean something different to everyone; nonetheless, there are key elements that make a ride one that you’ll be keen to share with every bike owner you know. The Ride the Highlands team strives to set the bar in motorcycle friendliness, but we’re not the only one in the province aiming to check all the boxes. Check out three of our favourite Ontario rides that will keep your two wheels turning. We see Ride Lake Superior as Ride the Highlands’ big brother. The full loop covers 2,300 km (1,400 miles). With ride-ready itineraries, you can cruise yourself around Lake Superior in about eight days. Similar to Ride the Highlands, Ride Lake Superior has smaller loops, detour-worthy roads and biker-friendly stops highlighted along the way. Where: Ride Lake Superior ventures from northwestern Ontario into the United States where it crosses three states; Minnesota, Wisconsin and Michigan. Distance: The Lake Superior Circle Tour is 2,300 km (1,400 miles) and six smaller loops in Algoma and Thunder Bay range from 200 to 680 km (120 to 420 miles). Landscape: Constant shoreline, winding roads, sweeping curves and great views. Ontario’s Southwest is home to the famous Cruise the Coast, which includes 11 smaller routes. Don’t shy away from the lower kilometres on this ride; it’s designed to slow you down so you can enjoy the beaches and ports as you rumble your way through its small southern Ontario towns. Where: Most southern part of Ontario along the north shores of Lake Erie. Distance: 12 routes ranging from 65 to 263 km (40 to 160 miles). Landscape: Mostly scenic coastline and roads that wind around rolling fields and wineries. The cat’s out of the bag. The city of Kingston can no longer hide their thriving motorcycle community. This biker hot spot is rich in Canadian history, vibrant nightlife and smooth roads. Kingston Rides balances a great day’s ride with activities as soon as you put down the kickstand. Where: Based in the city of Kingston and ventures north and along the St. Lawrence River. Distance: 5 routes ranging from 150 km to 400 km (95 to 250 miles). Landscape: Winding roads, magnificent scenery and historic charm. Like family, all great motorcycle routes need to stick together. These three routes share the same fundamentals as we do: To give you the best damn time on two wheels. 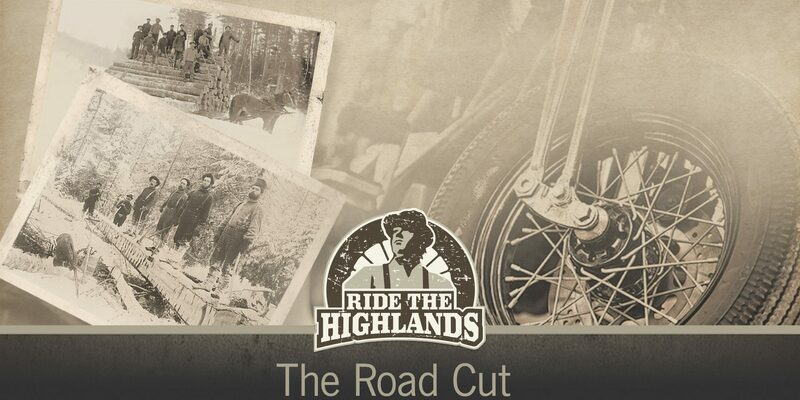 Check’em out and tell them Ride the Highlands sent you.